Muscle Relaxants And Alcohol Combination: Is It Safe? Alcohol and muscle relaxants consumed together can be a deadly mix. They can cause serious health issues such as severe sedation and decreased cognitive abilities in the long term. The statics says that the use of muscle relaxers for non-medical purposes is an ongoing crisis in the country. 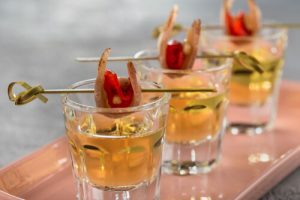 This article discusses the effects of alcohol and muscle relaxers when consumed together, how it has turned into an addiction across the USA, how it can be treated and prevented altogether. How do alcohol and muscle relaxers together affect health? What are the statistics on muscle relaxants and drinking? Can someone overdose on muscle relaxants and alcohol consumed together? Muscle relaxants as a cure for alcoholism – myth or fact? Muscle relaxants are generally used to control skeletal muscle functions as treatments to spasms, chronic pain from and to reduce spasticity from upper motor neuron syndromes such as cerebral palsy and multiple sclerosis. What happens when muscle relaxants mix with alcohol is that they directly affect the central nervous system of the body and cause strong sedative effects. Alcohol combined with muscle relaxants can be particularly dangerous, taking baclofen and alcohol together for instance, since the chemical agents in alcoholic beverages can drastically increase the sedative effect of relaxants. The combination of the drugs and ethanol has strongly adverse effects, including the possibility to put somebody into a fatal stage. What is the result of taking a skeletal muscle relaxant with alcohol? Following are some of the side effects that can occur when a muscle relaxant and alcohol are combined, especially is high doses. Apart from putting the body directly into a fatal sedative state, the extreme sedation caused by taking a common relaxant like cyclobenzaprine and alcohol can indirectly put someone into dangerous states due to the increased risk for accidents and situations caused by impaired judgment. One of the most widely abused muscle relaxant-alcohol combinations is Soma and alcohol. Soma is commonly used to treat skeletal muscle spasms mostly in the lower back area. Following are some of the key statistics when it comes to the Soma muscle relaxant+alcohol abuse seen in the USA over the years. The number of people using drugs similar to Soma for non-medical reasons was reported to be over 3.69 million in the year 2-12. Drug Enforcement Administration announced that in the year 2013, over 8.5 million Soma and other Carisoprodol products were dispersed all across the country. Due to the relatively easy access to medicines of the benzodiazepine family that is prescribed for the short term relief of mild to moderate anxiety, it is common to see the consumption of valium and alcohol or diazepam and alcohol which can have similar adverse health effects on the body. They are central nervous system depressant drugs which are commonly abused by many that have been observed to eventually lead to the abuse of the stronger alcohol muscle relaxant effects. Other similar combinations which people get addicted to that work as “gateway drugs” for the more severe muscle relaxant with alcohol abuse include Advil and alcohol, which is a type of ibuprofen used to treat pain and inflammation. Mixing barbiturates and alcohol is also a commonly seen abuse of central nervous system depressants. Skeletal muscle relaxants and alcohol can become a deadly mix. They both slow down the pace and the frequency of breathing to dangerously low levels and eventually lead to stopping altogether which causes death. Moreover, alcohol might interfere with some of the muscle relaxing drugs and decrease their efficacy. Thus, the user will likely take more of the pills to feel their pain relieving effect, increasing the likelihood of overdose. The symptoms of an overdose on these two substances include drowsiness, agitation, hallucinations, and nausea. This severe condition may lead to seizures, heart attack, and neuroleptic malignant syndrome. There are also other similar combinations leading to similar results which are important to know since they happen accidentally or unknowingly most of the time. Drinking alcoholic beverages while on antihistamines that treat allergies, Allegra and alcohol for instance can lead to severe sedation. Another combination that is often debated is alcohol and steroids, which can cause peptic ulcers and high levels of liver toxicity when overdosed. Apart from a large number of negative health effects caused by nicotine consumption, mixing alcohol and nicotine can multiply the damage drastically especially for a regular user. One of the most commonly asked questions about this subject is, does muscle relaxant help with alcohol withdrawal? There are many people who draw similar comparisons between the skeletal muscle relaxants and alcohol high. Using them tend to give a temporarily euphoric feeling, and some people assume that they can take relaxers to help keep them away from alcoholic beverages especially when they have reached the extreme addictive levels alcoholism. There are researches that suggest taking certain relaxants in moderation can help suppress cravings for alcoholic products. The ANSM drug agency in France, the government agency that is responsible for assessing the health products within the country, conducted research on Baclofen, a muscle relaxer, on its ability to treat addiction alcoholic drinks. After a trial period of over four years, the health authorities of France approved the use of it in 2018 to treat people who are addicted to alcoholic beverages. However, the authorities have also announced many harmful side effects of using muscle relaxants for this purpose, which should be taken into account. The abuse of muscle relaxers for non-medical purposes and the addiction to drinking mixed with muscle relaxant are becoming extremely prevalent in the country. There are, however, many successful ways of treating this addiction for those who are seeking help. There is no best alcohol for a muscle relaxant. It is all about completely preventing drinking and relaxant interactions as much as possible since they can soon turn into a deadly mix. There is no direct or definite way of drawing the line where it is appropriate and where it becomes dangerous. The use of particular muscle relaxers to treat alcoholism should also be closely monitored by a medical professional in the rehab center to prevent misuse. AlcoRehab » Why Is It Dangerous To Mix Alcohol And Drugs? 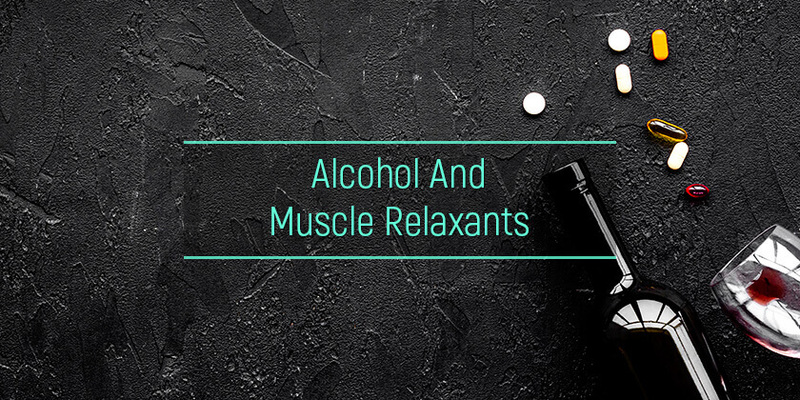 » Muscle Relaxants And Alcohol Combination: Is It Safe?